Got a little more chocolate than you bargained for? You’ve already overdosed on chocolate, loosened your belt and put yourself into a sugar coma, so you can’t bear to look at those eggs any longer. 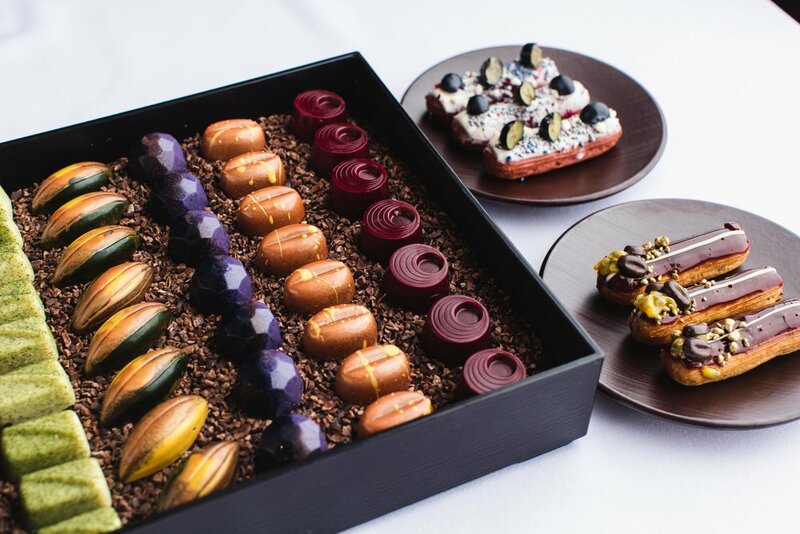 Head Pastry Chef Ellen de Jager at Michelin starred Bohemia Restaurant, Jersey has provided her top tips on how to use your leftover Easter eggs – not suitable for the calorie-shy! For an easy no bake recipe for the children, try Easter themed rocky road. Mix the melted leftover chocolate with mini marshmallows, digestive biscuits, dried fruit or mini chocolate eggs then place in the fridge to set for 3 hours. Once it is set, dust with icing sugar. One for the chocoholics! Make or buy readymade croissant dough and stuff with leftover Creme or Caramel eggs. Once baked you’ll have warm croissants oozing with chocolate. Feeling a bit guilty after all of that chocolate? For that ‘health kick’ cover sliced banana in melted chocolate then put in the fridge to set. To fix that chocolate craving, quick melt butter and chocolate in the microwave for 30 seconds. Beat the mixture until soft then whisk in an egg, sugar, flour and baking powder then microwave for one minute and 20 seconds. Add left over crème eggs to cupcake or brownie mix for a gooey chocolate centre. Perfect for the ultimate chocolate lover and a great alternative to traditional Simnel cake. Easy but absolutely delicious! Simply melt your leftover Easter chocolate and pour over ice cream as chocolate sauce. Bohemia was the only restaurant in the Channel Islands to be listed in The Sunday Times Top 100 Restaurants. The 5AA Rosette restaurant also received the highest score in the Channel Islands in the Good Food Guide with a glowing score of 7 and was listed as the best restaurant in Jersey in the guide’s ‘Top 50 Restaurants in the UK’.